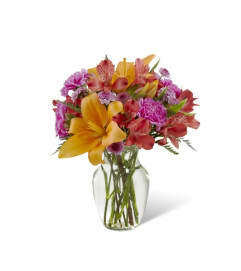 FTD® proudly presents the Vera Wang Luxe Looks™ Bouquet. 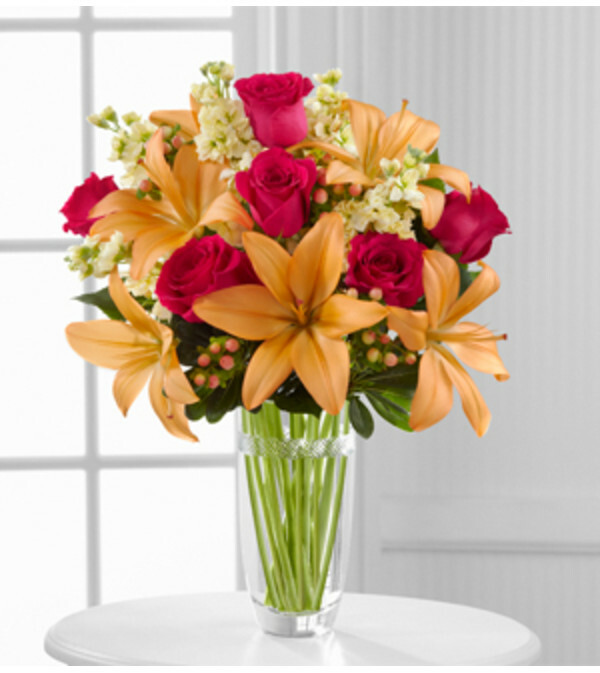 Tap into the sunlit sophistication of this charming rose and Asiatic lily bouquet. 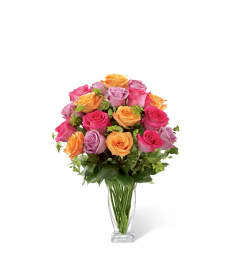 Gorgeous fuchsia roses, fragrant yellow stock, orange Asiatic lilies, peach hypericum berries and lush greens are brought together to form an exquisite flower bouquet. Presented in a modern clear glass vase, this stunning flower arrangement has a chic appeal that will bring an air of elegance to any celebration, including birthdays, anniversaries, or just to say thank you.